Meet 2017 Legacy Award Winner Elsia Pop and discover her story. 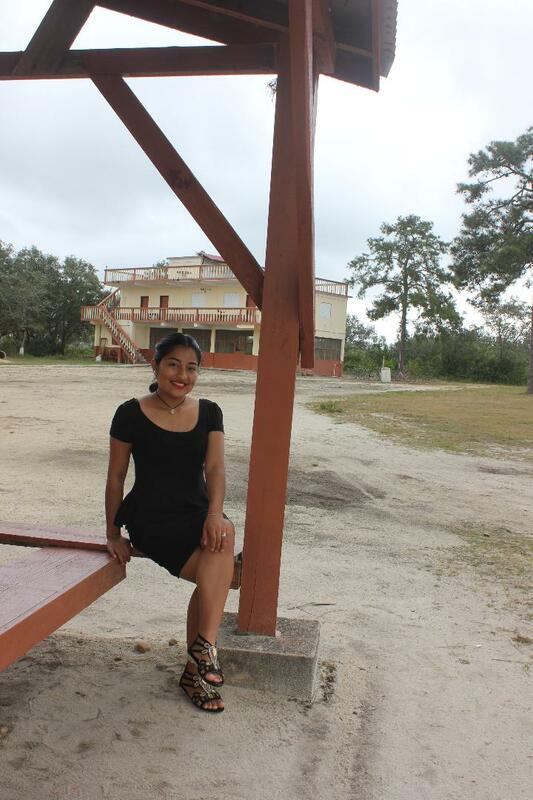 I am from the quiet, peaceful community of Bella Vista Village in the south of Belize. 2014 was the year it all began at the doors of Georgetown Technical High School in the class of 2 Atlantic. I obtained a scholarship from the Energy for Life Program, a Belizean charity. One of my first challenges was breaking out of my shell. I was an introvert and one of the requirements of this scholarship was to interact a lot with my peers as well as people in my community. It was a tough task but I managed to overcome the shyness. For the next three years after receiving this scholarship, I was a completely new person, always busy and always having something to do or share with others. I taught my schoolmates how to make several types of handicraft (including macramé bracelets) once a week during the club sessions. The students were very appreciative and made sure they were present at all times. This was my form of encouragement. I became much more comfortable with them and as time progressed going into the community and doing similar projects became second nature. Thereafter, the project was ongoing both at school and in my community. I enjoyed interacting, teaching and learning from others. This teaching and learning extended to the Cayo District. Every now and then, I travelled by bus to Cayo to learn more handicrafts from older Mayan and Mestizo women, including crotchet, wristbands, embroidery, sea glass and much more. I then gave handicraft making classes to youths in the Energy for Life Youth Group in the Cayo District. 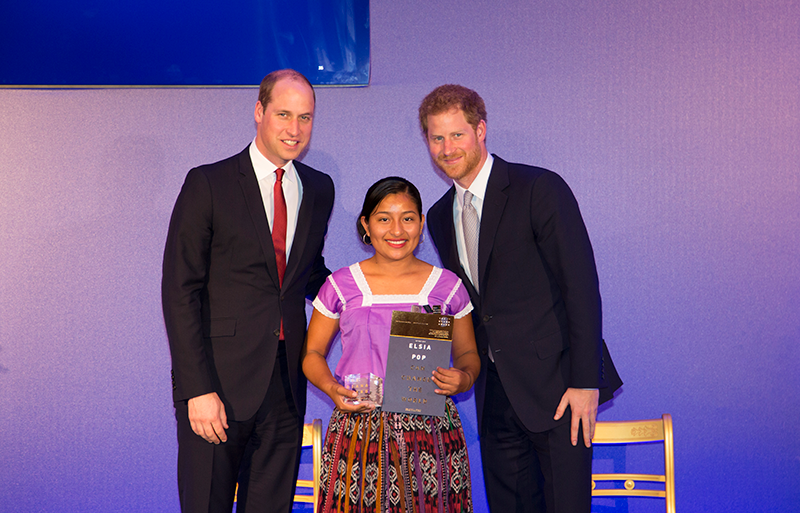 Elsia receives her Legacy Award from TRHs The Duke of Cambridge and The Duke of Sussex. My first travelling experience came in 2015 when I was invited to Panajachel, Guatemala to get a first-hand experience of the lifestyle and artefacts of the Mayan people in that part of the world. The experience was a real eye opener. I spent a few days with a traditional family and observed how they lived and learnt to make many of their crafts. There were differences yet many similarities with their way of life and that of my culture. What I found most interesting was that all the little crafts they created were sold and brought income to the families for basic survival. I also documented stories of older Mayan and Mestizo people in Belize in an effort to preserve culture. I interviewed them about how they lived in the past, what they wore, what they used for cooking, washing, ironing, cleaning, where they worked, what their religious customs were etc… I thought that this was important as culture is being eroded due to adaptations to modern ways of living. My second and most memorable travel experience recently occurred nine months ago when I travelled to London. It still seems all so surreal even though I have gone and came back. It is unbelievable that I had stood on the same stage and took pictures with the Royal family of England and visited the St. James Palace. This was the most “first times” I’ve experienced in a span of a couple days. When I got to London I had to get an underground train which took me to my destination. My second day was the day I received my award at St James’s Palace. I was one of 20 youths worldwide to receive such a prestigious award and I was honoured. I wore my cultural Mayan outfit to the event. I had the privilege of meeting TRHs Prince Harry and Prince William. During that time I also met Ms. Karen Simplis, who is Belize’s High Commissioner. The Princes presented us with the award. They shared a little story about each of the Diana Legacy Award Holders before we received our awards. I received the Diana Award in 2015 and the Diana Legacy Award in 2017. I received both of these awards for preserving my Mayan culture through documenting interviews of elders and for learning and teaching youth how to make handicraft. Handicraft making is fun and easy to learn. It is a way we pass on our culture to others because as we make handicraft we tell stories of how our elders lived. Overall my journey through the Energy for Life Program has been nothing short of a blessing and I am grateful to the staff of Belize Natural Energy, who funded my scholarship. I was nominated for both the Diana Award and Diana Legacy Award by Ms. Manuela Lue, who mentored me. Ms. Manuela was an employee of Belize Natural Energy and a Director of the Energy for Life Program when she nominated me for these awards. She nominated me for these awards because of my kindness, empathy, eagerness to listen, willingness to learn and pass on to others my knowledge about Mayan culture through storytelling and handicraft making. To be an International Diana Award and Legacy Award Holder is a great honour for me. The reason I say so is because many youths around the world would like to accomplish great things; it requires sacrifice and hard work. It requires skills such as self-confidence, motivation, responsibility, being positive, being humble and having leadership skills. Many tend to fail in not having these skills which would lead them to be successful in what they aim for. The award proves that I am a hard-working person and I want to do more for others. The amazing thing about holding these awards is that I inspire more youths like myself or even people younger than me to continue in what they want to pursue and to never give up.